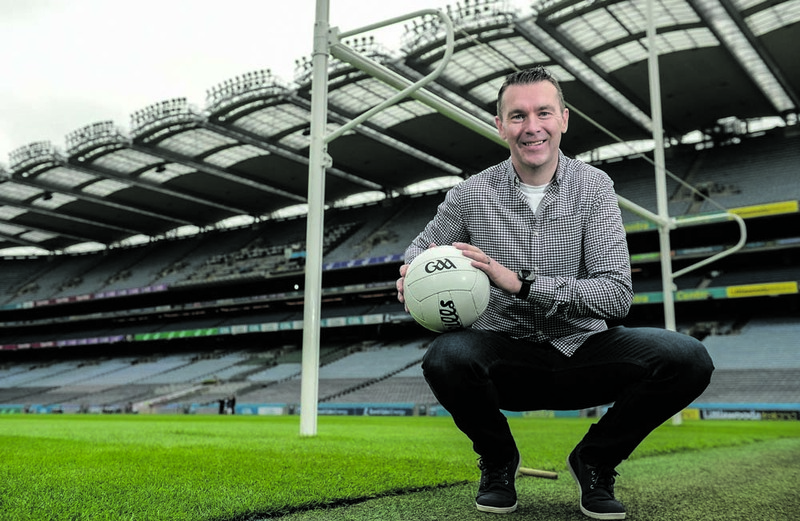 SCARIFF Harbour Festival is to be officially opened by Armagh football legend Oisín McConville over the August bank holiday weekend, in an interview with Carol Byrne he discusses his visit to the Banner county, growing up in Crossmaglen and conquering his gambling addiction. BORN in South Armagh in 1975, Oisín McConville grew up in a place and at a time where the sounds of gun fire and the tremors of bomb blasts were so commonplace they were almost part of the scenery. From the age of five he knew to walk briskly past the army barracks in Crossmaglen on his way to school and not to amble or dawdle in the presence of soldiers or police. As he reflects on his time growing up he says he is thankful that this is an experience his kids will never have. As Oisín prepares to come to the Scariff Harbour Festival, an event which bridges the divide between North and South, he explains how the town he knew growing up is now a very different place for the next generation. “I was born in Crossmaglen in the midst of The Troubles in the North. Until I was 11 years of age I thought the bombings and shootings were the norm because I didn’t know any different. I remember at eight, nine, 10 and 11 years of age being stopped on the street by soldiers, not being able to pass a certain area and being chased by soldiers and police,” he said. His early memories consisted of bombings and football. “I remember playing football out the front of my house and I could hear the bombs going off and you would hear and feel the shudder and to be honest, the first couple of times you run into the house but as you get older and you start to hear these bombs you stop, for a second, and then you kick the football back and you play on, so it became the norm. It is only later in life that you realise how it affected you,” he said. From the age of five Oisín had to pass the local army barracks to get to school, something that filled him with dread. “You do walk a little bit faster because you realise there could be a bomb at any stage, that was the danger of it. We were always told that if there were soldiers or police around there could be an attack and to make sure you weren’t hanging around that area” he recalled. It wasn’t until Oisín left national school to attend a grammar school in Newry that he realised his childhood experiences were anything but the norm. “When I got there I realised that not everyone had the same upbringing as myself or some of my friends. I realised there was a world that didn’t have the hatred and didn’t have the oppression that we had suffered,” he said. He recalled one such day when his sister was nearly a victim. There was a bomb attack on the army barracks and she was walking home from work when the bomb detonated. “She just happened to be walking past [the barracks] and she threw herself into the bushes. She came home in complete shock not realising that she had thrown herself into nettles and she was stung from head to toe. It was such a scary thing and certainly it was something that resonated with me as a young boy,” he said. Oisín added that there is no comparison now to the experience his eldest, at six years of age, is having growing up in the same area. He explained having lived through The Troubles is difficult to forget the history but at the same time he said, “you need to be very aware of the fact that it is a different world and the things that mattered to me and to people growing up don’t necessarily matter to this generation”. Now he said “There are very few people in the area where I live that wouldn’t welcome peace and wouldn’t welcome the position that we are in now, having suffered for many years. “We don’t have any soldiers on our streets any more, policing is minimal and that whole atmosphere has changed. People feel safe going to their jobs and feel safe going to school so it is a completely different environment to the one some of us grew up in,” he said. Oisín admits that The Troubles scared him and that was why he threw himself into football, knowing that the more he was involved in that the more he could remain apart from what was going on. “For a long time the football field was a sanctuary and it was a place you could go. I always felt safe expressing myself there. Outside of that I wasn’t really that comfortable expressing myself in other ways in my life, but I felt very comfortable there so that’s where I started the majority of my growing up, 100 yards from my house on the football field”. From the age of five to 13 Oisin’s life was completely dominated by football as he dedicated everything to being the best Gaelic footballer he could be. But things took a turn at 14 when he placed his first bet on a horse. “My focus changed because I found that I not only felt comfortable on a football field but I also felt comfortable in a bookmakers. I had a lot of insecurities around that time. I felt I wasn’t academic enough to be in the school I was in. In the bookies that changed. It could have easily been alcohol or drugs, but for me gambling was my drug of choice. It was something I found very easy to get lost in, and over the next 16 years I did get lost in it, I went down a road I never would’ve seen myself going down but that’s the pull of addiction and that’s where it brought me. I made a lot of wrong choices along the way,” he revealed. 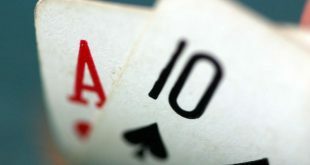 Initially for Oisín gambling lured him with the draw of a big win, and the desire to have money, but then that quickly turned to feeding the habit. Oisín said there wasn’t any particular time or place where he came to a realization he had a problem but from the age of 25 or 26 he stopped enjoying it and it didn’t give him a buzz any more. “I probably knew what my issue was and I knew more or less what I had to do to sort it out, but I was in addiction and I literally could not have rested for one day because I felt I was just one bet from sorting out all my issues. I know it sounds ridiculous but I’ve seen very vivid images on tv of people who are strung out on drugs like heroin, and they would do anything to feed that habit, and for me feeding the habit was to get a bet on and I would have done anything in order to get the money to put a bet on. I wasn’t really getting a buzz out of doing any of that but I felt I had to do it. It seems like a ridiculous thing to say but that’s where I was,” he said. While this was going on, Oisín was playing out of his skin on the football field. Over his football career he accumulated 11 Ulster titles and four All-Irelands for club and county, picking up two All-Stars and becoming the top scorer in Ulster football along the way. He said the strange thing is that while there was no doubt there was pressure on the field, it didn’t’ compare to what was going on in his personal life. “People thought it was pressure to play a big match in front of 82,500 but the real pressure for me was going on behind the scenes. A lot of the pressure for me, and it sounds dramatic, was keeping alive from one day to the next because I had those suicidal thoughts. When it came to football matches it was almost a release, I could actually get away from the grip of addiction for those couple of hours and express myself like I was a child again. Without it, and it sounds dramatic, I’d be dead,” he said. It wasn’t until Oisín was pushing 30 that things came to an absolute head and he broke down and asked for some help. “It was after a complete binge of gambling, and once the binge subsided I realised I had no money any more and no one to turn to for money, or anyone to turn to for help or support”. The latter wasn’t the case of course, but that was the way it felt in his head, he said. “I felt the pressure was too much. I was a compulsive gambler and a compulsive liar. I hated all that lying and that was one of the biggest parts of it. Strategically I would have almost gone to a different bookies every single day of the week that’s how intent and how contrived and controlling and manipulating I was. I didn’t want people to know. I was ashamed and embarrassed about what was going on in my life. I wanted to continue to gamble and the only way I could continue to gamble I thought was to hide it”. Eventually he said he couldn’t juggle it all any more and something had to change. This October he will be 13 years free of gambling and says his life without it “has been unbelievable”. “I would say there is a huge sense of freedom around not being locked in that addiction and getting away from it. Being able to communicate with people. Don’t get me wrong if you were talking to people who knew me at that time, they’ll say I was alright to have a conversation with, but if you started talking about emotions or feelings or anything that matters there is no way that I could communicate on that level. That is why there was a breakdown of relationships, and friendships and family relations. I wasn’t able to hold down a job, it effected every single aspect of my life”. Now as a trained addiction counsellor, Oisín helps those battling with addictions and said he mainly helps them through interventions. “I would deal with people who are at crisis point. I would meet a lot of people who would be struggling with drink, drugs and gambling, mainly gambling. It is good to be making a difference definitely, and it always sounds wrong in my head when I say I really do enjoy it, but it is something I know inside out and I feel I can make an instant impact,” he said. Currently he said a lot of his time is spent working with young people seeking help, something he says is positive as he recalls feeling isolated when he was in the grips of his addiction. “I was 16 years gambling and I was a long time out there alone not knowing that there was help out there and also not wanting to tap into that help. So from that point of view I find it heartening to know that so many young people are willing to make the difference and change their lives. For that reason it is important that I do what I’m doing and I do try to make a difference,” he said. The worry in today’s society for Oisín is that gambling is a silent addiction and it is becoming much easier to fall victim to it and to conceal it. “If you can imagine, I was someone who was walking into a bookmakers with cash and people nowadays would think that’s completely alien and antiquated to go into a book makers and have a bet. From that point of view now it is much more hidden [particularly with online betting forums], and recovery is so much more difficult than it would be with someone who was taking cash and walking into the bookies,” he said. Oisín welcomed the move by the GAA to prohibit all sponsorship of teams, playing gear and at competitions or facilities by gambling companies in February, but further change is warranted. “We’ve made small steps in this country in different ways, but the Government have washed their hands of it, we still have the same regulations we had in the 1950s and as you can imagine things have changed a lot from then. “From a GAA point of view I was proud of the fact that they changed it so you couldn’t bet on underage games, which I thought was good and then also the gambling sponsorship. That was a dramatic move and the irony of the whole thing is that sponsorship impacted directly on my club,” he said. 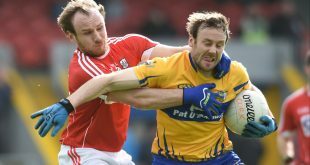 Armagh at the time did have a partnership deal with Boylesports and asked how the decision went over in his own club, given his support of the move, Oisín said, “I don’t think I was all that popular with my own club when it happened but popularity was never anything that I sought”. He concluded by saying the prohibition will have a real impact on the next generation and that is extremely important. He said more needs to be done however but that this is a step in the right direction and will have a positive impact on children playing the game from now on. *Anyone affected by the issues discussed in this article can find help by contacting the National Gambling Helpline on 1800 753 753 or Cuain Mhuire.